Why Are Your Pay Per Click Campaigns Bombing? Pay per click seems a great alternative to organic search marketing. For starters, get your campaign right, and your ad will appear at the top of the page. You like that idea because search marketing is a long game to play. Plus, you never know what your competitors are up to. One minute you can be riding high on page one, then, at the flip of a switch (or algorithmic tweak), you disappear from sight. The problem is Pay Per Click (PPC), isn’t as straightforward as you think. It also needs constant attention if you want to maintain ROI. That’s just for starters because if you take your eye off the ball and don’t regularly review the performance of your adverts, you could start to see problems. Your quality score is a measurement of how relevant your advertisements, keywords and landing pages are to the person seeing your ad. Your average position statistic describes how your ad typically ranks against other ads, determining which order ads appear on a page. If your keyword bids are too low, this will result in a weak position. Another factor is if your quality score is low because if Google thinks your ads (keywords and landing pages) are not relevant, it will cost you more to keep a higher position. If your click-through rate is dropping, it’s time to review your ad’s wording. Give it a refresh and make sure it’s highly relevant to your keywords. This would also be a good time to rethink your call to action to make sure you choose something that’s commanding and effective. Running a PPC campaign is not a one-off deal – you have to continually monitor your results and refine your ads if you want them to perform for you. 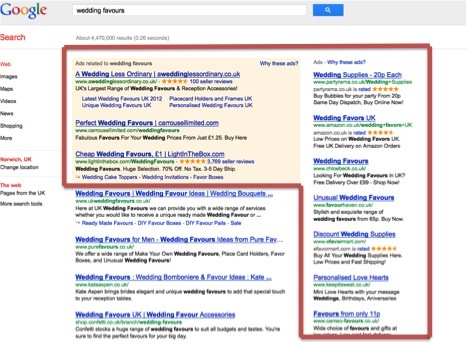 For help with your pay per click ads or general copywriting, call Sally Ormond, Briar Copywriting on +44(0) 1449 779605.